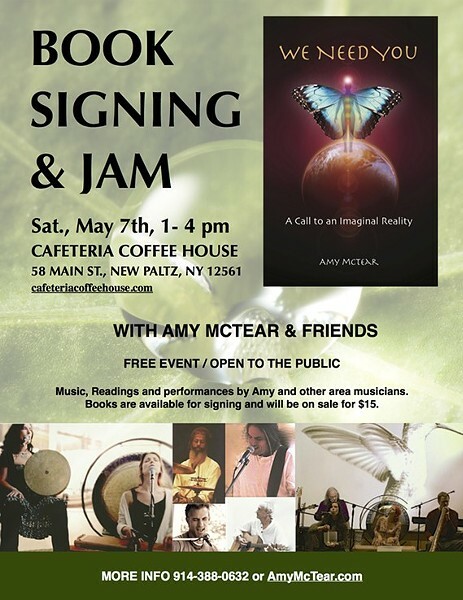 A free event with music, readings and performances by Amy, as well as other area musicians. Books on sale for $15. Brief info about book: Each person is not only capable of affecting a new reality for humanity, but accountable. By discovering and cultivating what matters to you most, you have the greatest potential for personal fulfillment, and you make your most valuable contribution to the whole. Gain insight into myths that sabotage your decision-making, empower a new worldview, and reconnect with your one true voice.